All rights are property of Warner Brothers. The need-to-see cinematic experience of early 2014 is no question. “The Lego Movie” does nearly everything correct in all aspects: characters, story, development, and most importantly, humor. While the movie’s target audience is kids, you can rest assured that the creators put in joke after joke utilizing notable characters and allusions from years past. This is legitimately a movie for all ages, absolutely no one is left out. Whether you are one that used to, or still do, build legos, are a movie junkie, or simply are a fan of situational comedy, there will be a part of the film that sticks with you. The characters are incredible, due to the incredible one-two punch of the brilliant writing and cast. Special recognitions are deserved to the following: Chris Pratt, Allison Brie, and Nick Offerman. Chris, who plays the main character Emmet, delivers a stellar performance. Nick Offerman plays the hilarious Metal Beard, a pirate who seeks vengeance for his body parts that were so ruthlessly taken from him. This guy will make you cry from laughter, especially during his back-story dealing with how he came to be. And finally, Allison Brie, who is cast as Uni-Kitty. Uni-Kitty hails from Cloud Cuckoo Land, a place where everything is awesome. You’ll get that reference later. She is also my favorite character in the film simply because of my weakness for her adorable demeanor (which I have no shame in admitting, I’ll have you know). Animation wise, the crew did a spot-on job. Literally every detail is done to perfection, and the mechanism jokes are aplenty. Everything about the animation is aesthetically pleasing and unbelievably impressive. 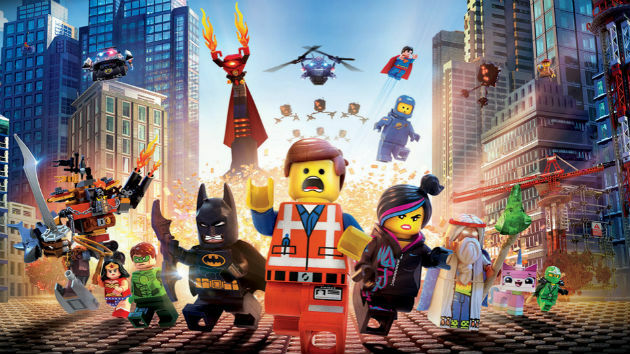 A couple of key notes when watching “The Lego Movie”: Pay attention to the background. A good chunk of the laughs comes from finding cameos and lego men/women doing something silly. Be able to understand word play. This will help you out when witnessing Lord Business doing his evil deeds. Lastly, bring a group. Be it friends, family, or both, the time you will have enjoying the nostalgia of the movie is increased 10 times over when you are with other people. The best parts of the film (without spoilers): The slideshows, Uni-Kitty’s freak out, and the very last joke. Fantastic comedy. Overall the movie gets a 9.5 out of 10. The few blemishes are the development of two key characters and that some parts of the story fall a bit flat, but nothing too serious. Go see this movie, it is the greatest animated flick in a long while. Sorry, Wreck-It Ralph.